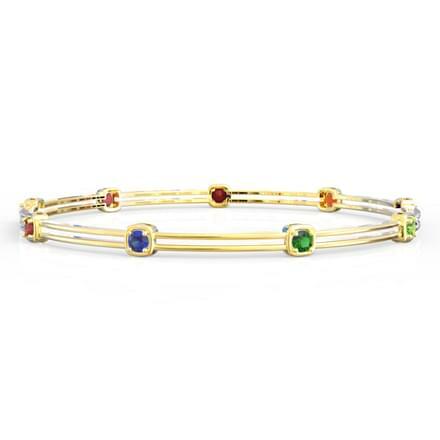 Gemstone Bangles can add a dash of color and charm to the delicate yet strong wrists of a female. To give you a whole range of choices, we bring forth the collection of Gemstone Bangles. These bangles are coupled with diamonds or a number of precious gemstones such as and the red Rubies. With their contemporary designs, these bangles are sure to appeal to the modern wearer. With this exclusive range of bangles, we celebrate the spirit and sheer beauty of studded jewellery. Our collection of Gemstone Bangles for Women have various designs, as every person has different tastes and preferences. CaratLane’s wide variety of bangles ranging from Rs. 50,000 to Rs. 2,50,000 are crafted to perfection. A number of people have traditional tastes and prefer to wear Traditional Gemstone Bangles, such as the Kin Ethno Bangle. These bangles have slightly more intricate and detailed designs and are ideally paired with ethnic outfits such as salwar suits and sarees. The Single Line Gemstone Bangles are also extremely desirable as they are easy to wear, being lightweight and sporting minimalistic and simple designs. Gemstone Bangles for Wedding such as the Radiance Bangle are stunningly patterned with rubies, to complement your special day. A lot of jewellery wearers prefer the light red shade of tiny rubies and hence, they would prefer the Ruby Gemstone Bangles. The Glint Ruby Bangle is the perfect example of such Red Gemstone Bangles. 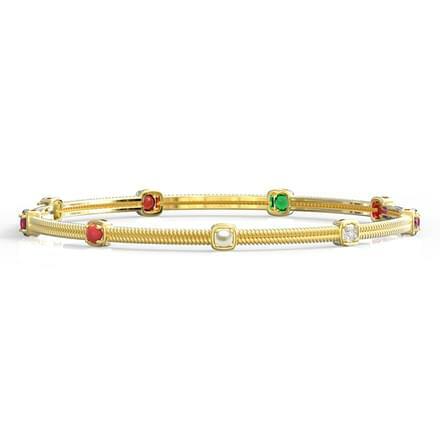 The Radiance Bangle is the perfect example of Gemstone Broad Bangles and on the other hand, Flicker Ruby Bangle belongs to the Gemstone Thin Bangles collection, both of which are beautiful in their own right. 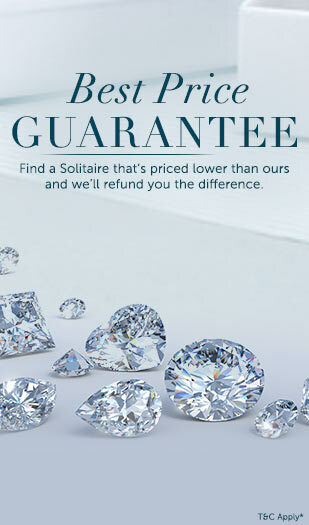 CaratLane.com has a Try@Home feature to ensure that your whole purchase is hassle-free. Buy Gemstone Bangles Online at the best prices today with CaratLane’s effortless payment options! With options such as debit and credit card payment, net banking, and fund transfers, CaratLane assures an enjoyable online shopping experience.